Counterweights - how do they work? Which Counterweight works with a Photo Case? 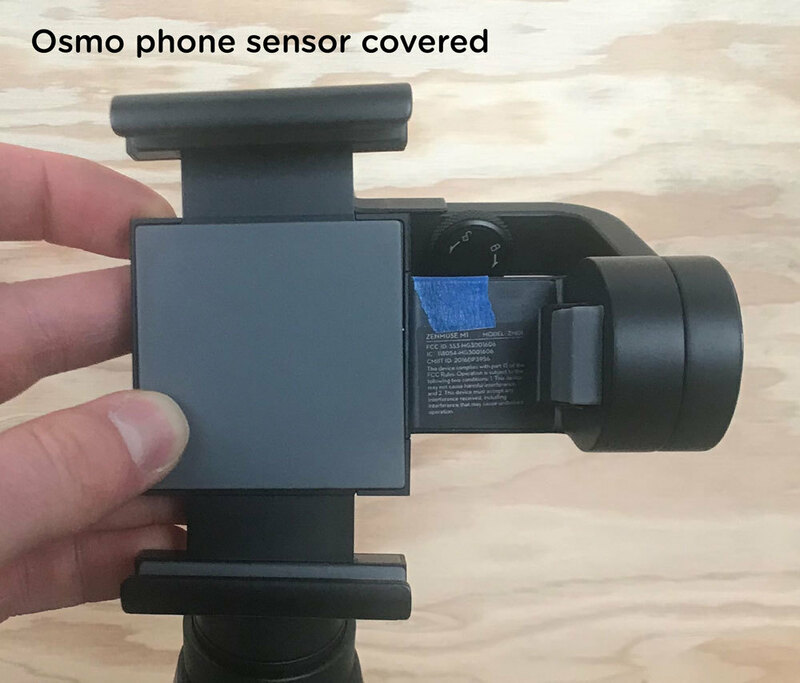 If using any phone with the Osmo Mobile 1, Osmo Mobile 2, Zhiyun Smooth Q, Zhiyun Smooth 3, Zhiyun Smooth 4, Evo Shift, Evo SP Pro Gen. 2, Or Evo Pro, use the Universal Counterweight. Note that the counterweight only works to balance the phone when in landscape orientation (standard for all gimbals). If the gimbal allows the phone clip to be rotated in order to film in portrait orientation, the counterweight will not balance the phone with a Moment lens in this portrait orientation. If using any phone with the Freefly Movi, use the Movi Counterweight. Which Counterweight works with a Battery Photo Case*? The Universal Counterweight is not compatible with any of the Battery Photo Cases. This is because these cases do not fit into standard gimbals like the Osmo Mobile, Zhiyun Smooth Q, Smooth 3&4, Evo Shift, Evo SP Pro Gen. 2, or the Evo Pro. The Movi Counterweight, is only compatible with the iPhone 7/8 Battery Photo Case (and is required to use this case with the Freefly Movi). *The iPhone X and iPhone 7+/8+ Battery cases are not compatible with the Movi Counterweight/Freefly Movi. Why can't I get my Freefly Movi to balance? If you haven't already take a look at this video we put together on how to balance and get the gimbal running. Next, with the bigger phones and a wide lens or even a filter as well balancing these can be even more complex. We did some investigating and found that we could still get large phone setups to balance it just takes all of the Freefly counterweights that are in the kit in an interesting orientation. Take a look at the two photos below, this was the setup we used for an iPhone 8+, Photo Case, filter adapter, and the wide lens. Does the DJI Osmo Mobile work with the iPhone 7/8+ Photo Case? Our photo cases for the iPhone 7+ and iPhone 8+ do in fact work with the DJI Osmo Mobile. It is a tight press fit and you must insert the phone from the open end with the jaws of the Osmo opened up all the way. We often shoot with this setup and haven't had a problem with our Osmo, phone, or the photo case. One thing to note is that its helpful to brace the jaw area with your other hand while you push the phone in so that it goes in straight. Check out the end of this video and we'll walk you through how to put your 7+/8+ photo case in the DJI Osmo Mobile. Why can't I get my Osmo Mobile to balance? First, have you pre-balanced the Osmo when powered off with the counterweight, phone, and lens using the instructions in the counterweight box? Additionally, have you activated the DJI Osmo Mobile with the DJI go app? When first taken out of the box DJI requires that the Osmo be activated by a phone with the DJI go app installed. You should only have to do this once, from there on you can use the Osmo by simply turning it on with a phone using any app you wish. 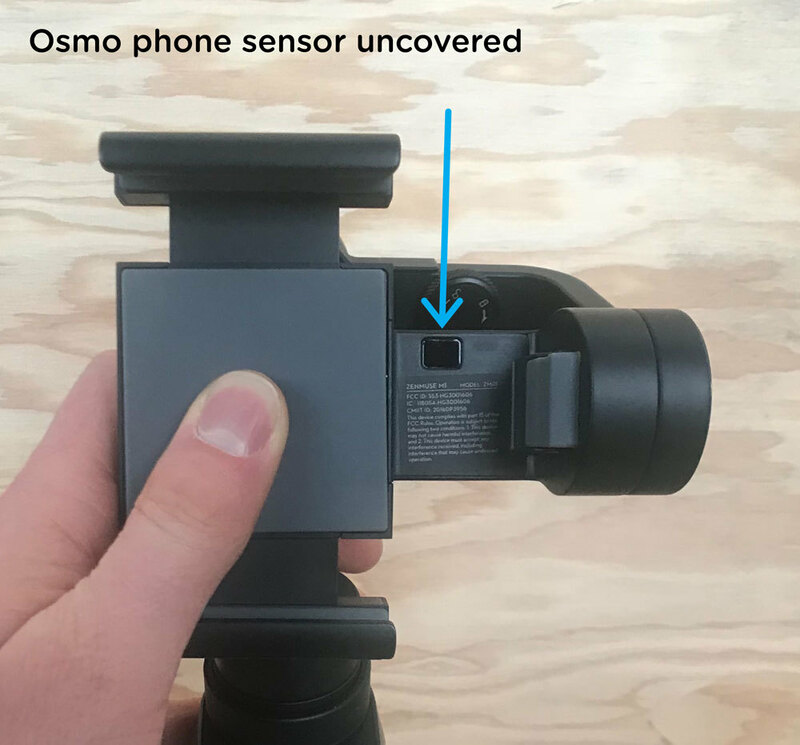 Next, the Osmo mobile has a sensor that detects whether a phone is present in the device. Sometimes under certain lighting conditions, this sensor does not sense that a phone is present by the way the light does or doesn't reflect off of our cases. The solution for this is to open the DJI Go app, connect your gimbal, and in the lower right-hand corner click the small gear to access settings. When in settings select gimbal, then scroll down to the bottom to find "mobile device check" and uncheck this slider. From now on the gimbal will power up regardless of if it senses a device. You can switch this on and off as often or as infrequently as you'd like when you have the DJI Go app open. Lastly, if you don't have the DJI Go app installed A quick fix for this is to take a piece of colored tape and cover the small sensor where the phone mounts, this will trick the sensor so that it senses a phone is present since it's not recognizing your device. We've checked with DJI and this is perfectly ok to do and won't have detrimental effects on your Osmo. What counterweight works with an O-Series Photocase or O-Series Mounting Plates*? *The O-Series Photo Case for the iPhone 6+/6s+ is not compatible with any of the gimbals or counterweights. If using the Osmo Mobile 1 or 2, Zhiyun Smooth Q, Zhiyun Smooth 3, Zhiyun Smooth 4, Evo Shift, Evo SP Pro Gen. 2, or Evo Pro use the Universal Counterweight. If using the Freefly Movi, use the Movi Counterweight.